In an effort to entice buyers, Samsung gave its N150 line of netbooks a dash of color. 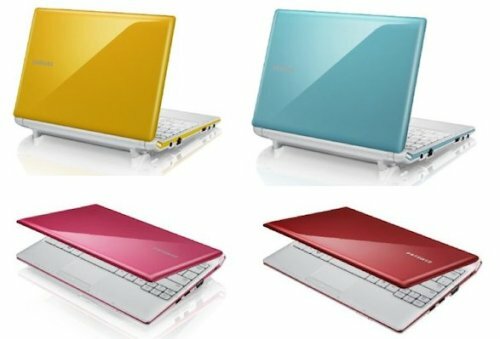 Like the Corby , these 10.1-inch netbooks come in Red, Blue, Flamingo Pink, Bermuda Blue, and Caribbean Yellow, apart from the default black. But apart from its colorful cover, the N150 contains a 1.6GHz Intel Atom N450 processor, 250GB hard drive, and 1GB RAM. The Samsung N150 is now available on its official website, with price starting at US$349.99.